Ringo Starr isn’t in the R&R Hall of Fame as an individual? Who do I write to about that? 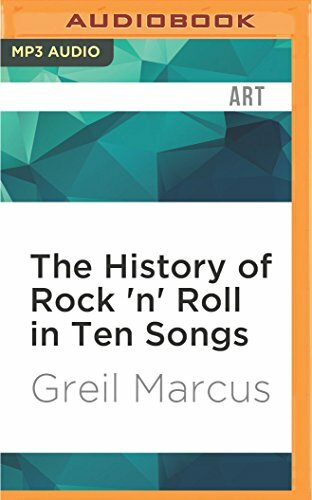 If you can get past the introduction of this book, you should breeze through the rest. In that intro there is a six page sentence, and a lengthy roll call. It grows a bit tedious. But I learned a lot. The relationship between Bing Crosby and Robert Johnson was unexpected and kind of awesome. I watched videos and listened to songs I might not otherwise have sampled – the Flamin Groovies? Not my cuppa. And again I didn’t always see what the author was talking about as he spoke about what he pulled from the videos. One thing I absolutely did see eye to eye with him about: “Why is happiness considered shallow and worthless? Why does it have to be all about pain and loss?” I have always wondered that. All forms of art seems to abide by that philosophy: without conflict and pain there is nothing worth talking about. But every now and then isn’t it nice to just celebrate? But – seriously? No Ringo? I’m appalled. 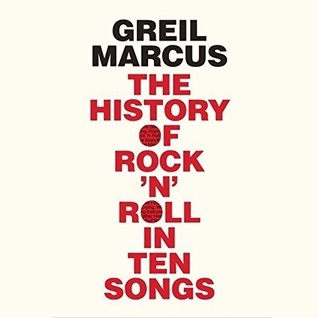 This entry was posted in books, music, non-fiction and tagged audiobook, Greil Marcus, Henry Rollins, History of Rock and Roll in Ten Songs, music, nonfiction. Bookmark the permalink. I caught a little of this show once and never found it again. THANK YOU SO MUCH! I now know how to find more, plus–this book! Kelly Clarkson just gave me chills and tears… and that’s enough said about that. You’re welcome!! Isn’t he great, though? And Kelly … whatever else can be said of American Idol, she is a marvel. Yeah. I am working my buns off writing [and recently editing] because I can’t deal with reality. Yeah … I put the local news on for the weather, and then turn the tv off. Head in the sand is the best I can do right now. Never has writing fantasy been more therapeutic. Thanks for the recommendation, I will look into it. The History Channel is joining HGTV and shows about food as the only things I can handle these days. Yes! The History Channel is also therapeutic – – look at all we’ve survived. The human race has made it through ice ages and world wars. One man with tiny hands can’t bring us down.